Ed Reardon (Christopher Douglas) - author, pipe smoker, fare-dodger and master of the abusive email - returns for a third series. In these six episodes, Ed finds his literary juices are flowing after a new commission, and a visit by his father brings thoughts of inheritance to the misanthropic writer's mind. As well as venting his spleen writing corporate scripts, Ed also uses his skills to update obituaries - and produces a savage profile of an old friend. Written by Christopher Douglas and Andrew Nickolds, Ed Reardon's Week includes guest appearances by Sean Lock, Laura Solon, Mark Watson, Morwenna Banks and David Warner. 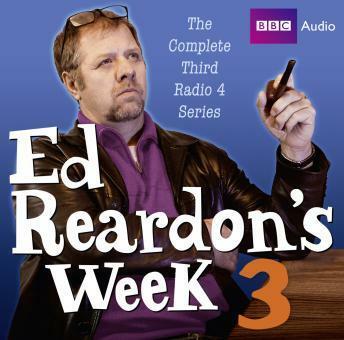 Ed Reardon's Week was voted Best Radio Programme by the Broadcasting Press Guild.